Launching the plan, the Home Secretary, Amber Rudd MP urged more victims of hate crime to come forward, so that the full scale of the challenge facing communities can be understood and tackled. This government is determined to build a Britain that works for everyone. 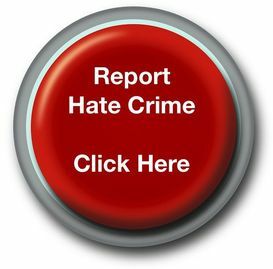 Those who practise hatred send out a message that it’s okay to abuse and attack others because of their nationality, ethnicity or religious background. That it’s okay to disregard our shared values and promote the intolerance that causes enormous harm to communities and individuals. Well, I have a very clear message for them. We will not stand for it. Hatred has no place whatsoever in a 21st century Great Britain that works for everyone. We are Great Britain because we are united by values such as democracy, free speech, mutual respect and opportunity for all. We are the sum of all our parts - a proud, diverse society. Hatred does not get a seat at the table, and we will do everything we can to stamp it out.